This baby sling reminds me of a hammock. It's basically a big sash but the bottom part where the baby would sit streches wide (exactly as a hammock does). And I was especially happy when I saw that they had a rainbow colored one. Perfect! A rainbow sling for the little Rainbow! So the more I wanted to get it! Until I found out it was P1,580. Bubble burster. I was only planning to get something around a thousand. I was still thinking about it but to my surprise my wonderful husband told me to get it because I hardly ask for anything. Such a sweetheart! 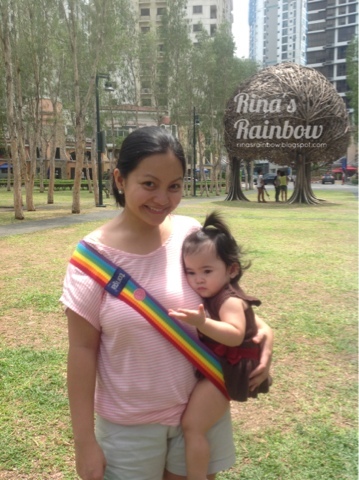 A Rainbow sling for the little Rainbow! 1. The hammock-like material is a brilliant idea because it makes the baby's "ride" 100% more breezy. Perfect fr our hot climate here in the Philippines. No thick cloth wrapped around your baby's body. 3. Easy to wear. No complicated straps here and there. 1. There's not much back support. In all the times I've worn this, I have always felt the need to support Rain's back with my hand. Especially at Rain's age where she would just suddenly bend backward. So basically instead of having 2 free hands, I have one free hand and my other hand lightly supporting Rain's back to make sure she doesn't bend backwards. 2. Expensive. For me anyways. 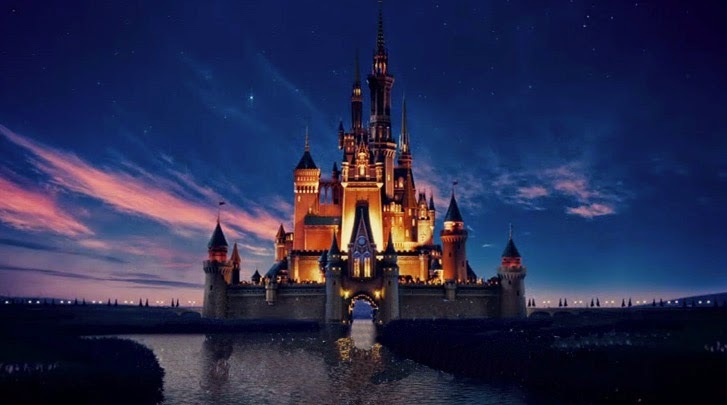 dropping by to let you know, I linked you up on my mommy blog. Love the sling but it's so mahal! 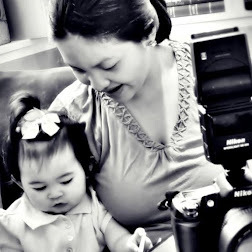 Yes, Expo Mom at Rockwell. Ooooh must get tonga when my boy is older na. Yeee, looking forward to reading more from you. Magandang Gabi po, im from Jakarta,Indonesia. 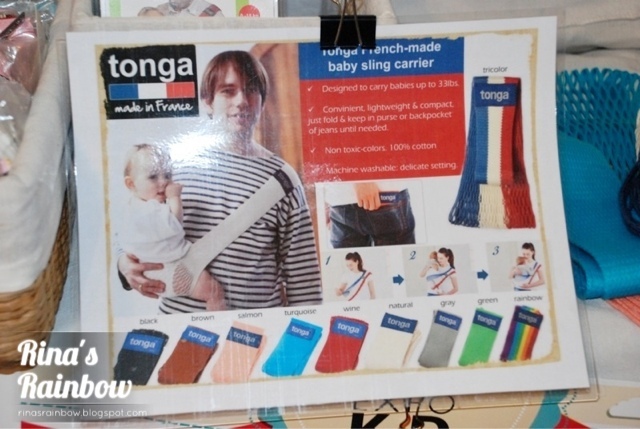 Im so interest to have one, but in here it's so hard to find TONGA Brand, and i found you shared this cute baby sling. if you dont mind, would you like to tell me, where to buy that's stuff in Manila and how much is that? Is there any worldwide shipping? hi sis. ive been searching for a hip carrier as my 15 month old daughter doesnt like her stroller. i saw your review and i want to get one but i'm a bit worried that it isn't adjustable. i'm a plus size mom and i wonder if this will be suitable for me. 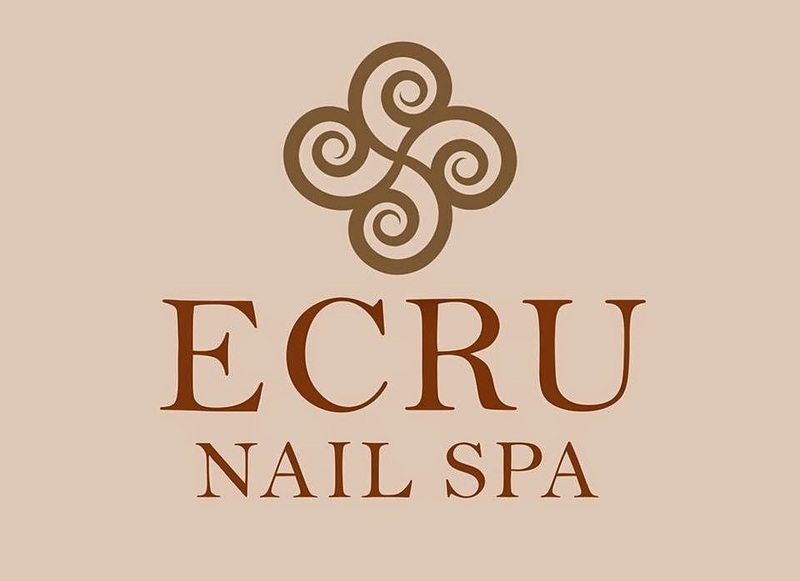 thanks in advance!!! Hi Kate! It's not adjustable eh :-( but they have different sizes. I suggest you fit it to really find out if may lukso ng dugo hehe :-) if not there are tons of other baby slings you can try! :-) check out Next 9 and Indigo Baby :-) they have really good ones too! Hi Rina! I've been looking for a carrier for my 10 month old. 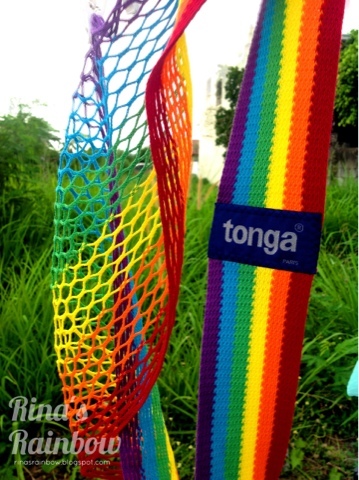 I saw the tonga at the mommy mundo bazaar and was intrigued. 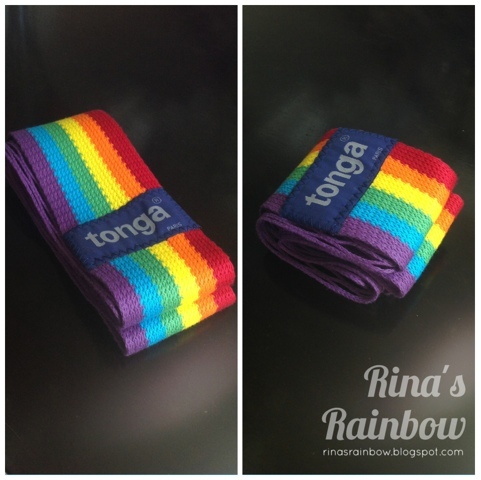 After using the tonga for a few months, how would you rate it? Hi Izza! Hmmm... I was only able to try 3 slings so compared to the other 2, this would be last simply because you still need to put your arm around your baby to really support her back in case she decides to do a surprise back-flip hehehe. But I would rate it very high in "presko"-ness. 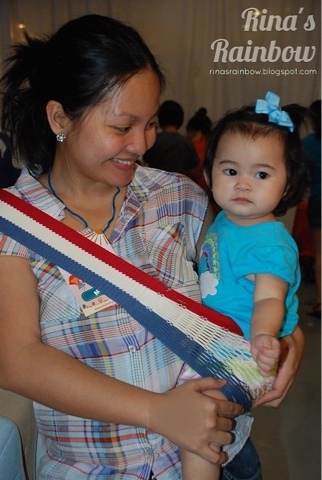 I feel this sling is really for babies who can sit up right na. Definitely not for infants. Hope this helps! hi rina! i just want to know what's the size of Tonga you bought for Rain. thanks in advance!